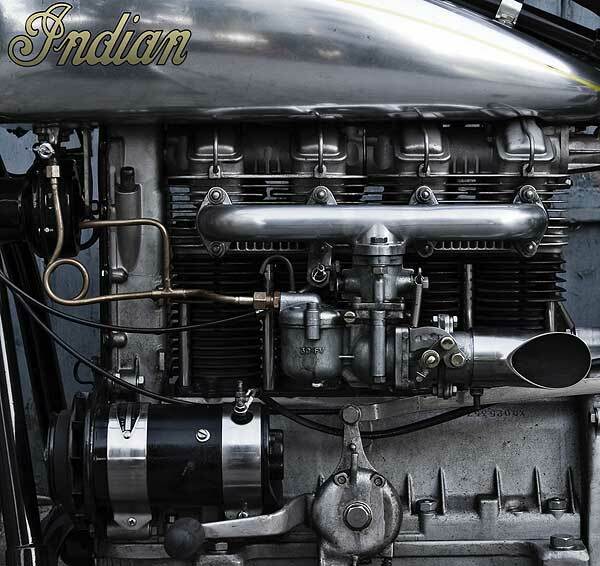 The original Indian Four is a design icon, in its time among the most elegant motorcycles to grace the roads. Many attempts have been made to build a ‘modern’ copy, often using water-cooled car engines, but stylistically they’re failures. Except one, which lives an ocean away from where the Indian, ACE and Henderson Fours were brought to life. 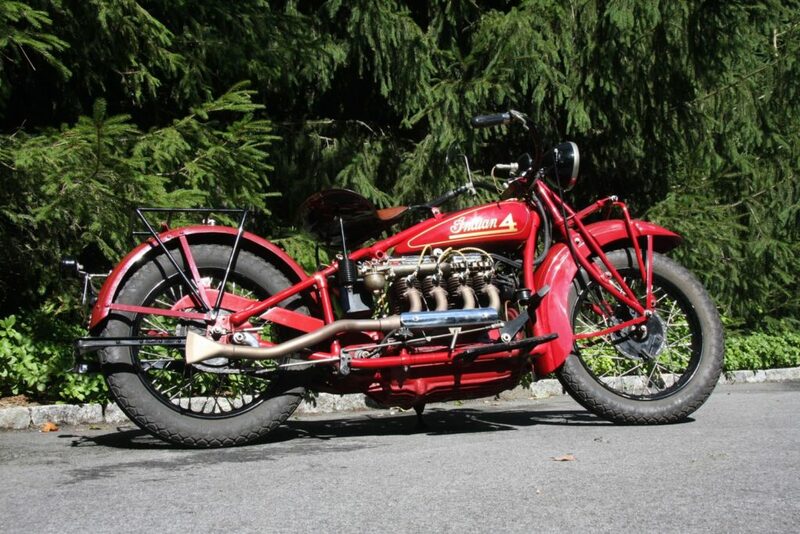 Mads Bartholin always wanted an Indian Four, but like most of us, he couldn’t afford one. Well-kept Fours go for about US$50-80K, and restoring a bad one will likely cost the same. ACE and Henderson Fours were just as out of reach, and acquiring something slightly less glamorous, like an Indian Scout, was not an option; Mads was firmly in the ‘straight four’ phase of his life. Mads had already built one such four; a Danish Nimbus, which he rebuilt with an Indian Four style exhaust system, 16” rear wheel, Harley-Davidson solo seat, and a wide handlebar, and ridden it as far as to North Africa a few times. But much as he liked the Nimbus, he found its 22 bhp engine too weak. Realizing the futility of tuning the stock 750 cc engine, he decided to replace it with a 1000cc straight four from an NSU car. “The NSU engine is air cooled, inexpensive, looks kind of right and there are loads of them around”, claims Mads. The fast, brutal looking Münch Mammoth used just such an NSU Prinz TTS engine, with five times the power of the Nimbus. In 1997, he made moulds for a new Nimbus flywheel/clutch assembly housing to adapt to the NSU motor, plus a new sump to resemble the angular Nimbus original. A local foundry took care of this for a pittance, and after a few tries it looked right. Mads had suspected the car engine would be a bit on the large side for a Nimbus frame, which turned out to be the case. “It would fit – barely – but there simply wasn’t any room for the gearbox or the gas tank”, he notes, “so it was back to the drawing board”. First it ran with an Amal carburettor, then with a leaky updraft Tillotson, and finally with this updraft Solex. Gearshift mechanism is from a Nimbus motorcycle, the generator from a VW. The project was redirected with the goal of creating a 1920s-style American Four. Many evenings and hours were spent at the basement workshop, where Mads would sit, beer in hand, carefully studying various 1:1 scale drawings hung up on the wall. Finally a version reminiscent of a 1928 Indian was decided upon. 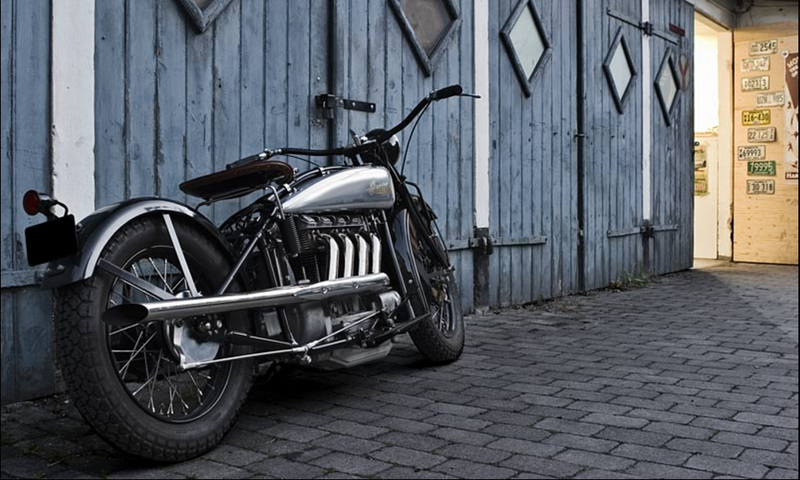 These first Indian Fours lack the comfort of rear suspension, and the elegance Art Deco fenders of the later Fours, and the upper frame backbone runs across the fuel tanks. The hybrid machine would be a couple of inches longer than its spiritual forefathers, because of the NSU’s separate, longitudally mounted gearbox. Maintaining momentum on this project wasn’t easy, mainly because Mads, while studying Industrial Design at The Royal Academy of Fine Arts, was perennially broke as a student. “Getting married and having two kids took its toll, too,” says Mads, “although thankfully my wife – bless her – has given this project her full support all along the way”. On the other hand, with only partial employment, and an uncanny ability to trade favors with people ‘in the know’, he was able to move forward. 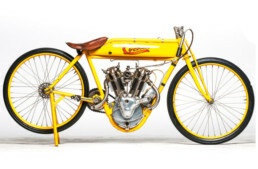 Slowly, the sorry remains of an Indian frame, as well as a good number of repro parts, were acquired. Like the frame lugs, both fenders, the solo seat, a complete leaf spring front end and the throttle assembly. 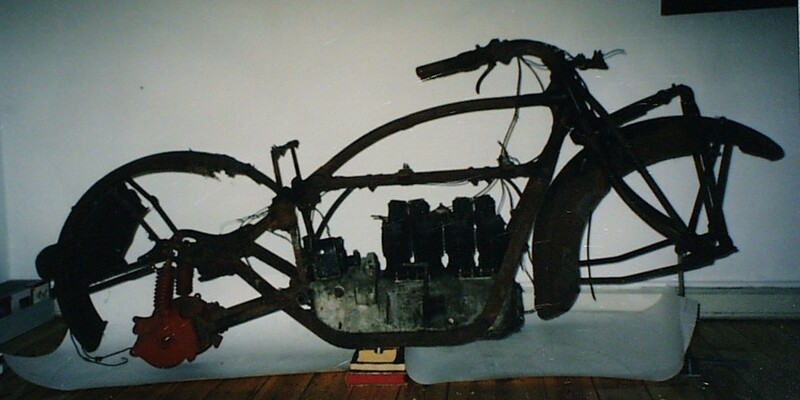 Initially a BMW or Moto-Guzzi gearbox was considered, but Mads soon realized that because the NSU’s engine rotation would give a lot of reverse gears! Eventually, a Nimbus gearbox with a new Swedish-built four speed gear cluster arrived at the workshop, along with its shaft drive and rear hub assembly. Somewhere on this journey the motorcycle acquired the name ‘The Alma Four, ‘Alma’ being Latin for ‘a particularly beautiful soul’ [ah…hence Alma Mahler’s legendary magnetism…pd’o]. Old brochures and factory photographs usually show the Indian Four from the right hand side, where the elegant exhaust system makes the bike look fast even while parked. In contrast, the left side of Indian Four engines were a mess, cluttered up with the carburettor, the magneto and the dynamo. Paying homage to the original, this is the case with the Alma Four too, even if the distributor hides tidily at the back of the camshaft cover. The updraft Solex carburettor, more commonly found on Ferguson tractors or 1930s Citroën Traction Avants, is mated to a modified NSU intake manifold, and a belt drive spins a Bosch VW generator. 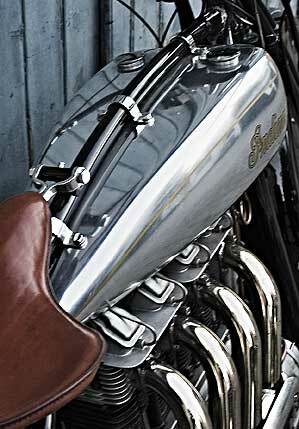 In 2002, the engine came together, while a stainless steel four-into-one reverse cone exhaust system was built, mounted on shortened exhaust stacks. 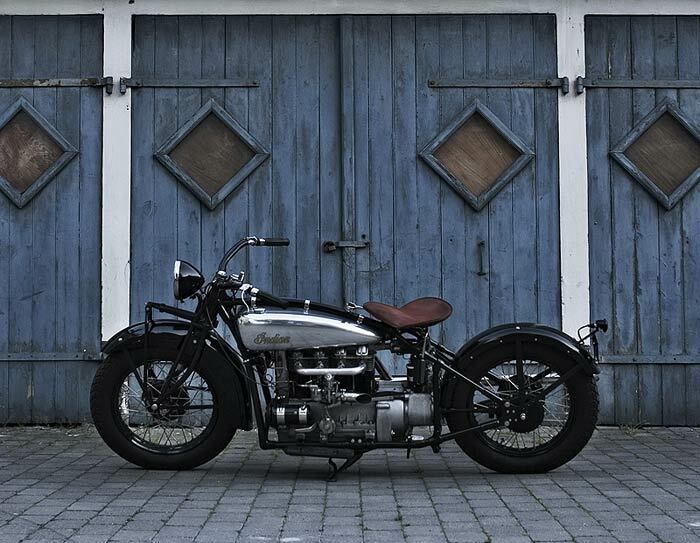 At the same time an aqcuaintance rebuilt the frame to match the one-off engine and shaft drive rear end. Many other members of the world-wide Indian motorcycle fraternity had been watching the Alma Four project from the sidelines, helping whenever possible and enthusiasticly cheering Mads on. One of them even flew in from the Fiji Islands to have a look. Once back from the welder, the frame was placed on the workbench and the engine dropped in. The twin fuel tanks had to be designed and built from scratch, because the ohc NSU engine was much taller than an original engine from Springfield. This was a bit of a problem, as Mads wanted to keep the bike low. Like the flywheel housing and engine sump, the fuel tanks were cast in aluminum. On the outside they appear stock, but underneath they’re shaped to accommodate the large camchain housing, the overhead camshaft, and the valve covers. Plenty of work remained, of course; knurling the fuel caps, welding a bracket for the stock headlamp to resemble a cast item, even grinding the fender bolt heads to half their height were some of the dozens of jobs neccessary to make it all just right. The Indian designers back in the 1920s were damn good and Mads, now officially an industrial designer, was determined do at least as well. Accolades to Mads! That’s a stunning tribute bike. 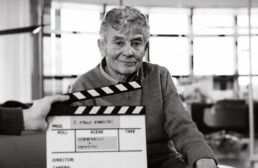 And thanks to you Paul, for bringing it to the attention to all of us who may never have heard of this labor of love. 2 good jobs. A solex carb was used on more than tractors. It was a power booster used on the MG-TD MkII in 1953. And it looked just as odd as it does on Mads “Indian”. See you in 121 days, Jim A. The Alma Four was featured on BikeExif some time ago, but this is the full story, or at least, a longer version…and a few more photographs of this well-built machine. Retro Custom done right to the nines ! BTW your coverage of the bike is much more informative … as one would expect from yourself . Paul, great to see your story on Alma. I used to follow the build on the Virtual Indian site when that was still in action, actually I miss the Virtual Indian site a lot. Hope you will make a story on Mads OHV Super X build when this is done too. Ur new article on Indian Four with images are great . If the original builder happens to read this, what is the thickness of the cast aluminum tanks and were they sand cast? Did you use a core or are they cast in pieces?